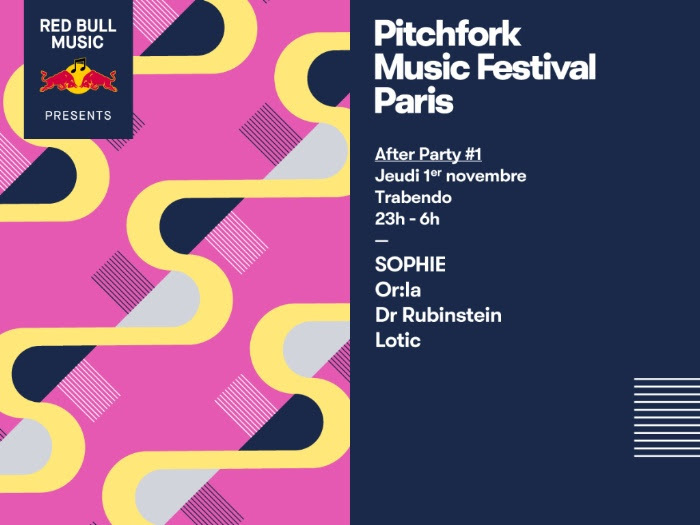 PITCHFORK MUSIC FESTIVAL PARIS announce after parties line up including SOPHIE, Lotic, Honey Dijon, Or:la & more! 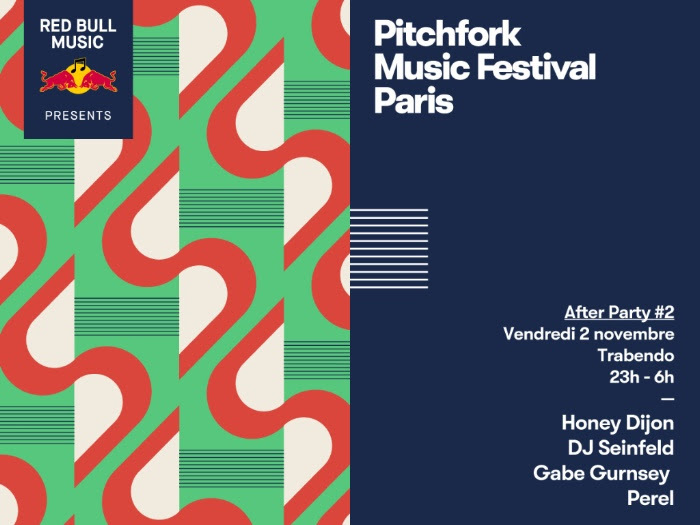 After announcing the final line up for Pitchfork Music Festival Paris & Pitchfork Avant-Garde, the line up for the Pitchfork After Parties has now also been unveiled. The two after parties will run from 11pm to 6am and take place at Trabendo, a 5 minute walk from Grande Halle de la Villette, where the main festival will take place. The line up includes Scottish electronic pop producer, SOPHIE, Tri-Angle Records artist Lotic & Chicago native Honey Dijon, who is an icon on both the fashion and club circuit. See full line up below. As well as this & the main festival, Pitchfork Avant-Garde will run prior. 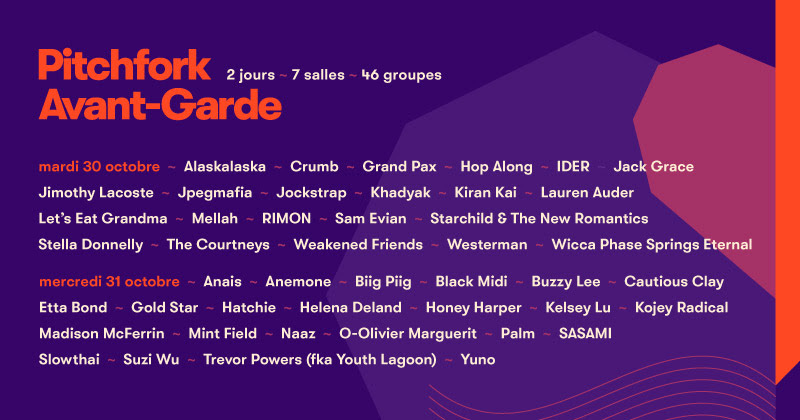 Pitchfork Avant-Garde is a two day event which will run prior to Pitchfork Paris in the Bastille neighbourhood, consisting of 46 up-and-coming new artists playing across 7 venues from 7pm to midnight. Venues: Café de la Danse – Badaboum – Pan Piper – Supersonic – Pop-Up! – Le Réservoir – La Chapelle des Lombards > all 5 minutes walking distance from another. 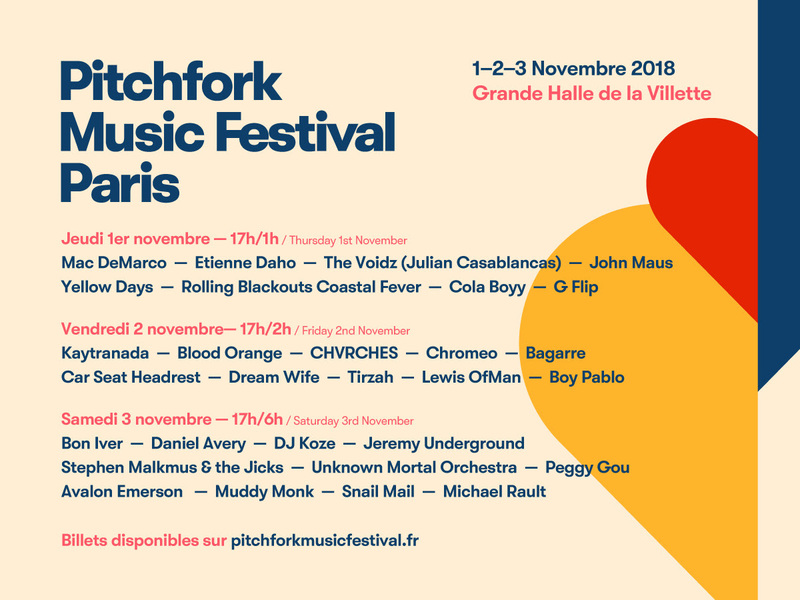 The main Pitchfork Music Festival Paris will take place on 1, 2 & 3 November 2018 at the Grande Halle de la Villette. Since 2011, the festival has made the Grande Halle de la Villette its home, right in the heart of Paris’ 19th arrondissement. Spread over 3 days, the festival offers music lovers a bold line-up that’s like no other, showcasing the best of the international indie scene.